In Singapore, it’s not always necessary to hire a professional executor to administer your estate after you pass on. Usually, most people will appoint close friends and family to be the executors of their estate when drafting their wills. However, there are a number of situations when it can be prudent to consider hiring a lawyer or other professional executors to administer your estate for you. When should I consider hiring Professional Executors in Singapore? 1) When the estate is particularly large and involves complex assets. 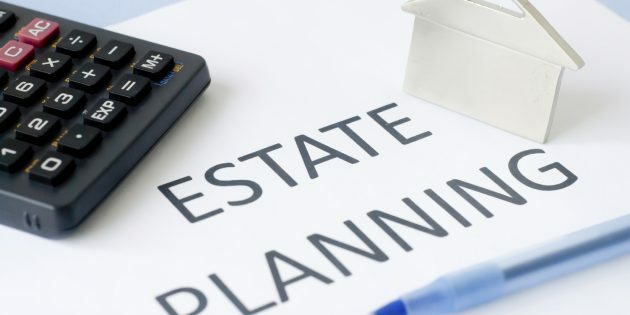 Usually, when there are numerous and complicated assets in the estate, you may prefer to have a professional executor handle the administration for you to spare your close family and friends from the burden of administering your estate. Make no mistake about it, the administration of an estate, while an honour for the executor(s) in a sense, is most definitely a burden. The chosen executors may face difficulties in handling certain assets and may not have the necessary expertise in handling the estate efficiently. 2) When the people you have in mind to be your Executors appear unwilling to do the job. You may have a few select people in mind whom you wish to be your executors. However, some or all of these people may be reluctant to take on executorship of your estate. They may accept half-heartedly out of a sense of duty or may only take on this executorship after much coaxing on your part. It should also be noted that if you choose someone close to you to be your executor, it can also be overwhelming for that person to deal with this while simultaneously mourning your loss. Generally, if this is the case, it can be helpful to consider hiring a professional executor as an alternative as well. In the event you pass on and your executor becomes unwilling or unable to administer your estate for you, it can be quite a troublesome process for your family members, who will then have to decide amongst themselves the appropriate person to apply for Letters of Administration. 3) If you have no family or friends to help. This isn’t as unusual a situation as you might think. Increasingly, more Singaporeans are choosing to remain single, and will likely grow older without a spouse or children. Even with a support network of friends, executorship is a monumental task, and many Singaporean may feel that they do not wish to burden their friends with such a job on top of their already busy lives. It can take a very long time to administer an estate and many friends may simply not be up to the task. If you'd like to hire an affordable, vetted Singapore lawyer to be your professional executor and trustee, get in touch with us here.